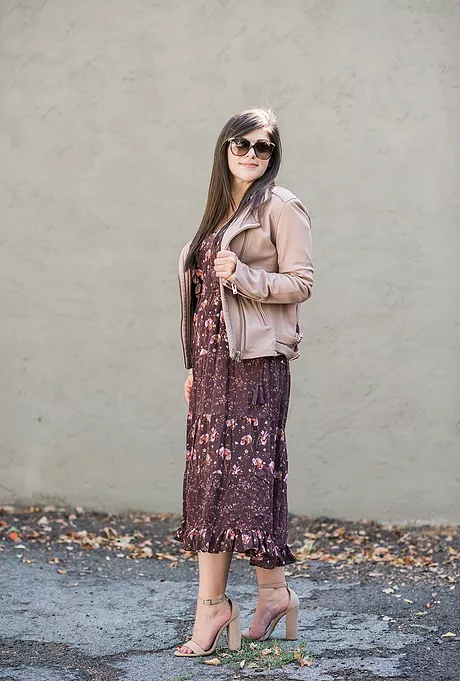 Three of the upcoming fall trends are block heels and floral, femine pieces paired with chic leather jackets. I have styled a look with all three and wasn’t sure if I was going to like it, but I am in love. 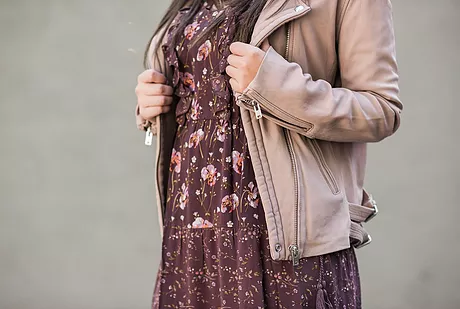 This jacket is everything! 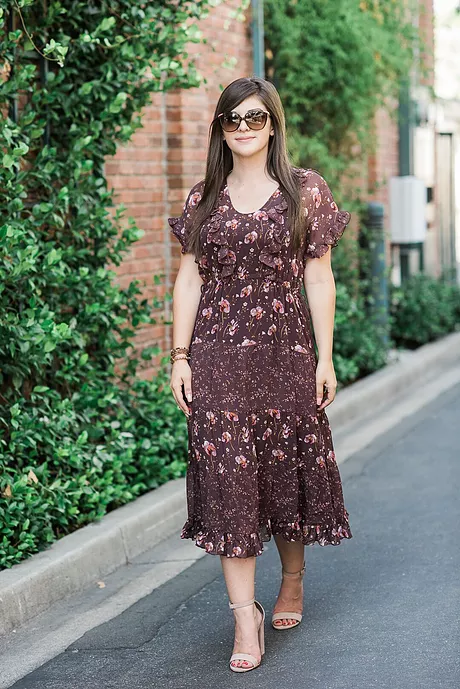 The blush color pairs perfectly with this Ulla Johnson dress. This dress is so perfect, it has ties on the side that make it looser or tighter and has a heavier feel to it, adding quality to the piece. 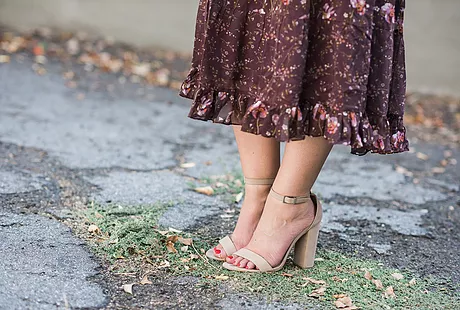 The blush Schutz shoes also tie everything back together and since they have thcker heels, they aren’t to harsh one the feet! Dont forget to pick up these trending pieces for your fall wardrobe.